Altice this week entered into exclusive talks to buy a 60% stake in Molotov, the OTT TV startup co-founded by AlloCiné creator Jean-David Blanc, former Canal+ chief Pierre Lescure and former TF1 executive Jean-Marc Denoual, a reversal of fortune for the streaming outfit that has been struggling to secure financial support for the last few months. 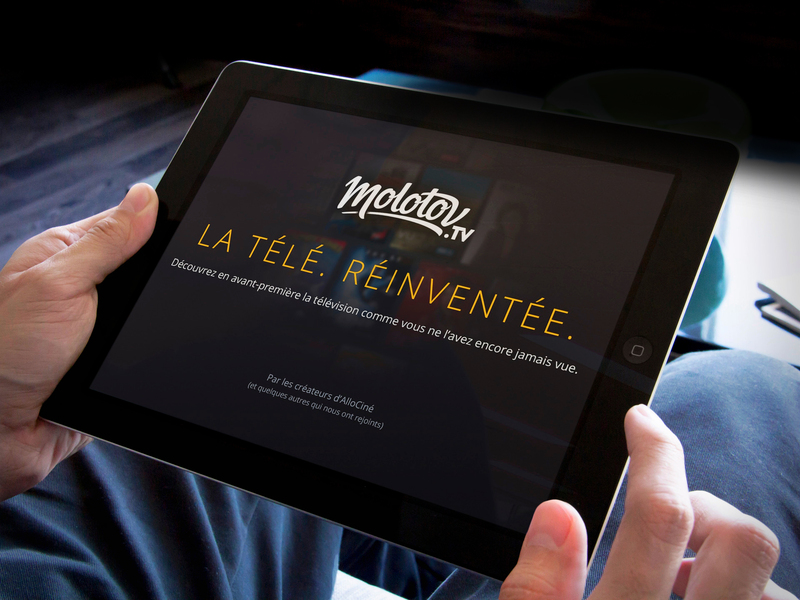 Most recently, press speculation had centred on a possible acquisition of Molotov’s technical platform by public broadcaster France Télévisions, but this would most likely have been to use Molotov’s technical platform as the base for a revamped online portal rather than to continue to provide Molotov as a service. The arrival of a white knight in the form of Altice gives Molotov a new lease of life. Altice France CEO Alain Weill spoke about creating “a major player in digital, an authentic manifestation of the union of content and high-speed broadband infrastructure”. The advantages to Molotov – financial backing, albeit from an operator that has often hit the headlines with stories about its enormous debt burden and high level of subscriber churn – are clear, but what does Molotov bring to Altice? The outfit’s business model – which is based on offering a large selection of free channels via a mobile app and web portal with a compelling user guide and charging €3.99 for recording a certain number of programmes, or charging for access to pay TV services – has come under question, despite Molotov’s claim to have attracted a significant user base of around 7.3 million users since its launch. He said the core philosophy behind the service was “a belief in channels” and in the power of channel editors to propose content to viewers that matched the context in which it is viewed, rather than a Netflix-type algorithm that recommended content based on previous consumption patterns. For David, the ambition is “to give TV the modernity that it lacked” in competing with new digital platforms. In acquiring Molotov, Altice no doubt sees a way to better securing a return on its own investment in content and channels by making its services more widely available, including RMC Sport. Interestingly, relations between Altice France and Molotov were not always so cordial. Altice was not keen on what it saw as the streaming outfit’s illicit exploitation of its programming by charging for recording functionality. The pair came to blows last year when Altice demanded that Molotov stop enabling recording of its channels, and demanded a payment for allowing this. Altice’s case was in turn challenged by Molotov, which argued that under a French law of 2016, private copying in the cloud was allowed if the responsible service provider paid a royalty to collecting outfit Copie France, which in turn distributed the fees to copyright collecting societies such as SACD or SACEM. Molotov had also faced similar difficulties with commercial broadcasters TF1 and M6, with hostilities recently recommenced when TF1 demanded that Google cease supporting the casting of its channels from Molotov via Chromecast. The announcement of Altice’s intention to acquire a majority stake in the streaming outfit thus provides the streamer with a powerful backer, and Altice has distribution agreements in place with commercial broadcasters TF1 and M6. The agreement announcement also indicated that the pair have ambitions to distribute Molotov internationally. Altice is an international telecom player, with networks in the US, Portugal and Israel, and it is possible that some version of Molotov could be offered in one or more of these territories. The platform could also theoretically serve as a platform to distribute French content internationally. According to David, “one of the fundamental elements of this agreement is that Molotov will remain universal, accessible to all and agnostic” rather than privilege Altice’s content, although a key attraction of Altice as a partner was it would place Molotov in front of its subscribers via its large base of TV boxes. Converged telecom and pay TV operators clearly see OTT TV as a key extension of their activity, variously enabling them to extend the reach of their TV offerings to new territories – and thus provide a better return on their investment in content – attract a youthful demographic turning away from traditional TV and bring additional functionality to their existing subscribers by providing access away from home and on the go. With Netflix and Amazon capturing much of the appetite to shell out for a monthly subscription, these players are also increasingly returning to the idea of free, ad-supported offerings. In cases such as Comcast’s NBCUniversal, this means offering something extra for no charge to existing pay TV users. In the case of AT&T’s WarnerMedia, it seems to mean a reinvention of the traditional dual revenue stream model of pay TV channels, combining advertising and subscription. AT&T chief Randall Stephenson this week told analysts that the telco was “strong believers in…two sided business models” combining subscription and advertising elements. The Altice-Molotov combination is more evidence that the mixing of telecom and media players and OTT TV will be an evolution of the distribution landscape that comes in many flavours.